As the global Muslim population grows at a rapid pace, the potential of the Islamic economy is ripe for the picking. 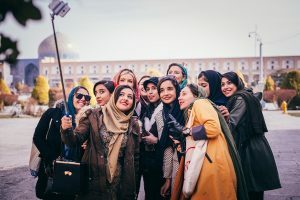 Around 1.8 billion Muslims are walking the planet – with a median age of just 24 years – and together they spent $2.1 trillion in 2017, according to the latest State of the Global Islamic Economy Report. By 2060, there will be 3 billion Muslims on earth – it’s not difficult to do the maths on the world’s fastest-growing faith-based economy. The Islamic economy comprises a vast range of sectors from modest fashion and beauty, to halal tourism and Islamic finance. 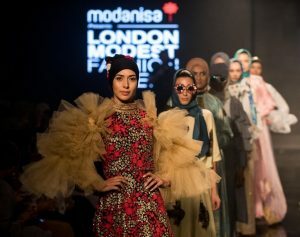 The last five years have seen an explosion of new products all designed to cater for the modern Muslim, such as ‘modest’ fashion ranges in mainstream stores, the first tech-smart sports hijabs, Muslim ‘Barbies’, fine dining halal meal kits, and a range of GPS and virtual reality apps to help Muslims live their lives in style and within the bounds of their faith. The Islamic economy is also tapping into the growing global trend for ethical products and services. Halal products like Sharia-principled Islamic finance and farm-to-fork halal agriculture dovetail with ethical values and aspirations. There are many key drivers – as well as barriers – within this fledgling global industry. A confluence of mega trends, such as globalisation, immigration and the rise of technology is fuelling a modern, cash-flush community of faith-conscious consumers. 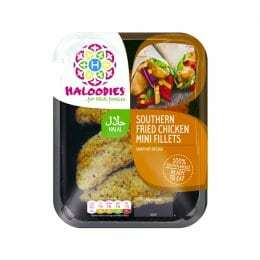 Haloodies is one of the few true halal ‘brands’ in the modern sense – it has universal appeal for Muslims and non-Muslims and tells a consistent story. Khawaja says the lack of ‘widespread cohesive branding’ is one of the reasons why the rise of the Islamic economy is ‘steady but not rapid’. 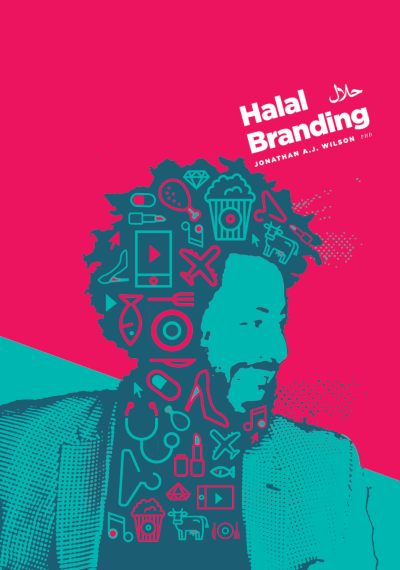 Professor J A Wilson, branding expert and author of Halal Branding, says companies who want to target modern Muslims would do well to simply ‘market a great product that has cross appeal to various faiths’. He says companies who ‘sell low quality products above their value because of restricted dietary requests’ are also doing halal branding a disservice. She says in terms of taking a national cohesive approach to the Islamic economy, South East Asia has ‘really taken the lead from the start’ in consolidating a number of different trends. Malaysia is listed as the number one Islamic economy in the State of the Economy Report, followed by the UAE, Bahrain and Saudi Arabia. Another drag on the Islamic economy has been the lack of universal halal certifications. For decades, various halal scholars and bodies have squabbled over the minutia and have so far rendered global certification efforts moot. In a breakthrough in February, the UAE took a major step forward by announcing a universal platform for cross-Arab certification. The first Arab halal system will include mutual recognition of halal certificates and ease the trade movement between Arab countries and the world. “The halal world is going to change with this,” says Salama Evans, editor of HalalFocus. Evans welcomes the arrival of new firms that are using technology as a tool to track provenance trails and clean supply chains, such as promising start-up, Singapore-based online OneAgrix – Global Halal Food, Agri & Nutraceuticals Marketplace. As the Islamic economy becomes increasingly tech-led, blockchain will likely play a leading role in tracking everything from ingredient sourcing to finance chains, she says. There is significant scope for growth in the Islamic economy; there was a mere $800m in disclosed private equity investments over three years, far less than the almost $600bn in private equity and venture capital investments that occurred globally in 2017, according to the State of the Economy Report. The report also estimates that the Islamic finance sector has $2.4 trillion in total assets. It says food and beverage leads Muslim spend by category at $1.3 trillion, followed by clothing and apparel at $270bn, media and entertainment at $209bn, travel at $177bn, and spending on pharmaceuticals and cosmetics at $87bn and $61bn, respectively. Having been in the business for many years, Evans predicts that the modest fashion and cosmetics sectors are set to boom, partly due to the ‘virality’ of their demographics. Professor Wilson predicts food, drink and finance will drive the bulk of the growth, because of the ingredient restrictions, as well as large growth in travel, hospitality, clothing and education. But Wilson says he is wary of ‘ring fencing’ sectors: “There are mainstream brands that offer these products and services and many people appear to be happy with them or prefer picking what they want and leaving the rest, which feeds into my argument about Muslims not wanting to feel alienation. Khawaja says there is a major opportunity to educate the world about the ethicalness of halal, what he terms ‘true halal’ – which is impeccably sourced and imports goodness, welfare and purity into its products. He says: “Everyone out there today – whether faith-driven or not – is seeking something better than the last product they had. People are taking more care of their bodies, so they want organic meat. Organic food is gaining substantial traction in Saudi Arabia, with 33 percent of consumers purchasing more organic products over the last 12 months, according a survey by Arla Foods. There is a halal mozzarella boom in Italy, with annual production reaching over 10 million kilos by end of 2016, and with one in 10 mozzarellas destined for OIC countries, the UAE is a top destination. There is substantial opportunity for halal sweets, as evidenced by Haribo’s opening a halal sweet shop in the UK. Halal food is an attractive prospect for investors, but still an unrealised opportunity. M&A and investment activity is still just a trickle.